The Dread Takosan C2 is another recent release from Bare Rose which is in magenta just like the Pirate Mistress C2 and Kitty is loving it. Kitty decides to show you what this outfit could be! 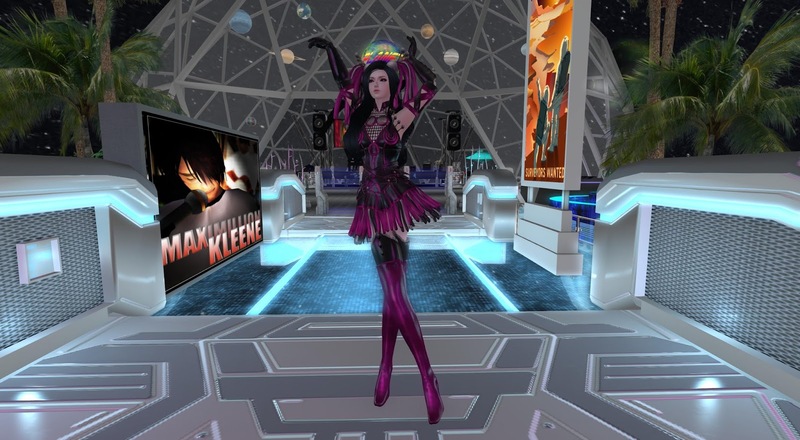 With such a flashy look and high detail texture on this mesh outfit, there is no better way to show it off at a dance! Look at how the leather and laces sparkles under the dance lights! 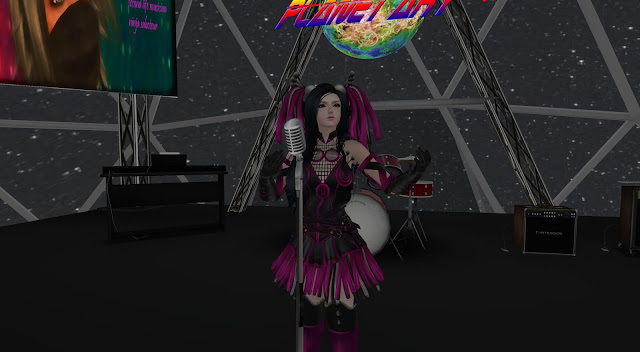 The outfit is perfect for a modern or futuristic setup and in fact Kitty had to sign this night and she is enjoying it in the Dread Takosan C2! Look at those ribbons flies as she swings around.